Update: OSEP's busy summer! All the guidance and events! On August 1st, OSERS issued a Dear Colleague Letter (DCL) that (1) emphasizes the requirement that schools provide positive behavioral supports to students with disabilities who need them and (2) clarifies that the repeated use of disciplinary actions may suggest that children with disabilities may not be receiving appropriate behavioral interventions and supports. When schools fail to consider and provide for needed behavioral supports through the Individualized Education Program, it is likely to result in children not receiving the free appropriate public education to which they are entitled under federal law. Resources to accompany the DCL, including a Summary which clearly and briefly illustrates the letter's main points, can be found on the Rethink Discipline Website. Our thanks to all who attended this year's Project Director's Conference, August 1-3. We hosted over 900 research to practice project directors, additional project staff, stakeholders, scholars and federal staff! We were all very happy to be face to face again after our year off. Participants attended topical panels, small group discussions, program area meetings and plenaries. Materials are available for most sessions and can be found online at https://www.osep-meeting.org. Later in the month OSEP announced that we had reached a settlement agreement with the South Carolina Department of Education, settling the litigation involving ED's claim of South Carolina's failure to maintain state financial support for state fiscal year 2010 and any future claims for state fiscal years 2011, 2012 and 2013. This settlement will bolster our commitment to ensure compliance with IDEA, maintain funding levels in South Carolina, and direct additional funds toward improving results for children with disabilities. OSEP's Monitoring and State Improvement Planning Division will host its monthly Technical Assistance Call for State Directors, Part C Coordinators, and TA Center staff, on Thursday, September 8. We will discuss recently released Dear Colleague Letters and an OSEP policy letter. You can find links to and descriptions of the letters in the policy section of this update, and access the call information on the web at osep.grads360.org. New Pay for Success Grant Competition for Preschool! On August 22, ED announced the availability of $2.8 million for a Preschool Pay for Success (PFS) Feasibility Pilot grant competition for state, local and tribal governments interested in exploring the feasibility of PFS to expand and improve preschool. The feasibility studies will (1) determine if PFS is a viable and appropriate strategy to implement high-quality preschool programs that yield meaningful results; (2) identify a broad range of potential outcome measures; and (3) establish safeguards to protect the rights of children with disabilities and their families. For more information and a link to the grant competition, visit the Early Learning website. The Department will also host the following Webinars to provide technical assistance for potential applicants. The U.S. 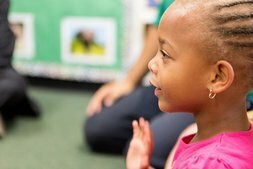 Departments of Education and of Health and Human Services are investing $1 million in the Technical Assistance Center on Positive Behavioral Interventions and Supports (PBIS) to implement the Pyramid Equity Project in collaboration with the University of South Florida and the University of Colorado Denver. They will partner with Preschool Development Grantees to establish national models for addressing issues of implicit bias, and uneven implementation of discipline, including expulsions and suspensions, in early learning programs. The project builds on the Pyramid Model for Promoting the Social Emotional Competence of Infants and Young Children, which is a framework of evidence-based early childhood teaching practices to promote social-emotional development, prevent challenging behavior, and provide all children with individualized supports. As a quick guide, refer to our Fact Sheet: Addressing Preschool Suspension and Expulsion—The Pyramid Equity Project. August 23, 2016: Letter to Martha Goodman discusses the calculation of the proportionate share of IDEA funds that must be used by an LEA to provide special education and related services to parentally-placed private school children with disabilities, specifically to provide Coordinated Early Intervening Services. The letter also addresses Medicaid reimbursement and the potential impact on equitable services to children in such placements. August 22, 2016: Letter to Perry Zirkel addresses whether the parties may waive the expedited due process hearing timeline in 34 CFR §300.532(c); whether OSEP extends legal recognition to fidelity as a core characteristic of Response to Intervention; and the timeline by which corrective actions ordered in State complaint and due process hearing decisions must be implemented. 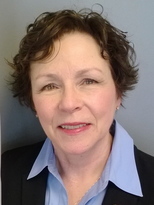 August 18, 2016: Letter to Regina Skyer answers many questions regarding multidisciplinary evaluations, eligibility, and screening procedures under Part C of IDEA: What is a multidisciplinary evaluation? Who determines a child's eligibility under Part C? May a child only be "screened" to determine eligibility? What constitutes screening? Is a child only entitled to an evaluation in a total of three areas of need during the child's time in the early intervention program? August 5, 2016: Dear Colleague Letter addresses the requirement for SEAs and LEAs to ensure the provision of FAPE to students with disabilities attending public virtual schools. August 4, 2016: Letter to Michael Eig provides guidance regarding a parent’s right under Part B of IDEA to open a due process hearing to the public pursuant to 34 CFR §300.512(c). OSEP Dear Colleague Letters, memos, and policy letters may be found on the Department’s website. The OSEP-funded EL Models (Cohort 5) developed a series of topical briefs for school leaders, educators, and policymakers charged with implementing or supporting multitiered instruction that supports English learners (ELs). The comment period for the two Assessment NPRMs (published in the federal register last month) will end on September 9, 2016. Find the link to each notice below, and visit the Department's ESSA Resources page to learn more. Learn more about the Department's recent investments in developing national models for addressing issues of implicit bias, and uneven implementation of discipline, and reactions in the early learning community. 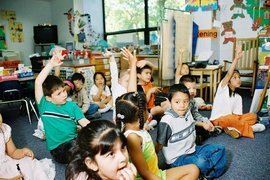 Preschool Suspensions: Addressing Disproportional Discipline Practices. An OSEP-funded center lays out IDEA Opportunities and Challenges in Online Settings, in light of our recent DCL on FAPE in virtual public schools. Preventing Contemporary Problem Behavior in Schools.